Government agencies are drawn to the security and transparency provided by blockchain to improve the efficiency and stability of processes requiring strict audit trails. 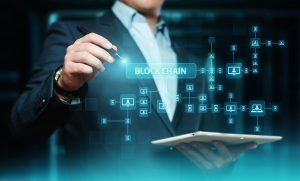 NIST has provided guidance to help educate as well as encourage organizations to begin trying out blockchain approaches. Contract management is an area ripe for the functionality of blockchain. The U.S. Department of Health and Human Services (HHS) has already started using blockchain in this capacity. The system they've built gives acquisition teams detailed, real-time information on pricing and terms and conditions from across HHS for 10 categories of purchases. According to officials, this pilot was not expensive or time intensive to build. Most of the prep time was spent on human-centered design interviews across HHS. The actual build-out took just four weeks, at a cost of less than $500,000. Additionally, this approach allows existing systems to stay in place. It pulls data from the existing systems and allows HHS to layer in new tools without altering the existing processes. Also in contracting, the Department of Veterans Affairs' Strategic Acquisition Center issued an RFI for a proof of concept using blockchain technology for the contract close-out process. To verify a contract has been completed, there is a need to gather information from multiple government and contractor sources as it relates to the actual work, payments, and any outstanding claims. The idea is that if this information is stored using blockchain it will be recorded along the way as opposed to having to be gathered at the end of a project. In addition to contract management, blockchain makes a lot of sense for tracking assets - both physical and virtual. The Department of Treasury created a proof of concept that focused on tracking physical assets such as laptops and cell phones. The next step is to apply it to fiscal service systems for tracking transactions. Similarly, the State of Delaware is looking to blockchain to help process the $1.3 billion income they get from corporate filing processes annually. But with all of these efficiency gains, there are concerns about data privacy. One of the key selling points of blockchain is that once data is added to the chain, it can't be changed or removed, but this runs counter to the efforts to provide people ownership over their own data (as regulated by GDPR in Europe). The security of blockchain has to be balanced with the "right to be forgotten." There are a number of upcoming events looking at the early successes as well as the challenges of blockchain in government. Blockchain Expo North America (November 28-29, 2018; Santa Clara, CA) - This event is the world's largest Blockchain Conference and Exhibition focused on the future of enterprise technology. The agenda includes a series of expert keynotes, interactive panel discussions and solution-based case studies. Impacts and implications for key industries, including government, will be discussed in depth. Blockchain Health IT Summit (December 5-6, 2018; San Diego, CA) - This event provides a full-spectrum viewpoint of blockchain-based technologies in the healthcare setting. It will discuss how this technology will transform healthcare systems and delivery, as well as traditional healthcare business practices. Government Anti-Fraud Summit (January 30-31, 2019; Baltimore, MD) - This event offers non-technical yet practical information for government professionals looking to combat abuse, waste, and fraud. A session entitled, Blockchain: Anti-Fraud Tech or Marketing Hype? will dive into the use case for blockchain in detecting and deterring fraud in government. DC Blockchain Summit (March 6-7, 2019; Washington, DC) - Billed as "the gathering at the intersection of innovation, investment and policy," this fourth annual event is organized by the Chamber for Digital Commerce. It brings together technologists, policymakers, and regulators to discuss topics including key market developments, smart contracts, legislative and regulatory trends, and more. 29th Annual Government Procurement Conference (April 18, 2019; Washington, DC) -- This national conference fosters business partnerships between the Federal Government, its prime contractors, and small, minority, service-disabled veteran-owned, veteran-owned, HUBZone, and women-owned businesses. New advances in procurement including blockchain will be discussed. Let us know if there are other events that provide insight into the use of blockchain in solving government challenges. This entry was posted in Event News, Gov/Mil News and tagged blockchain, contracting, privacy, procurement, Security by Kerry Rea President of GovEvents. Bookmark the permalink.